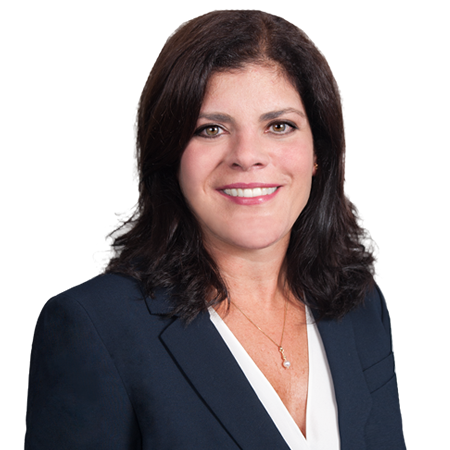 As a part of the firm’s public entity defense group, Kristan appears in state and federal courts throughout Connecticut representing, law enforcement officers, boards of education, public officials land use commissions, firefighters, emergency response personnel and all other municipal employees. She defends general and professional liability claims, including negligence, nuisance, highway defect, and civil rights claims, including claims brought under 42 U.S.C 1983. She has defended members of law enforcement and municipalities against a variety of claims including excessive force, false arrest, and malicious prosecution, failure to render medical aid, unlawful search, and unlawful seizure. Amory v. Joette Katz, et al. Amory v. Joette Katz, et al., 3:15-cv-01535 (VAB), 2016 WL 7377091 (D.Conn. 2016): PS federal and state claims related to his investigation and prosecution for sexual assault charges dismissed, including 1983 clams for false arrest, malicious prosecution, and fabrication of evidence. Villages, LLC v. Longhi, Superior Court, judicial district of Hartford, Docket No. HHDCV126036028S, 2017 WL 1240449 (March 6, 2017, Peck, J. ): Summary judgment granted in favor of town planning and zoning commission member as to claims for tortious interference and fraudulent misrepresentation stemming from commission member’s deliberation and voting on plaintiff’s application for special use permit and subdivision. Kane v. Prescott, et al. Kane v. Prescott, et al., Superior Court, judicial district of New Haven, Docket No. CV146006582S, 2016 WL 3085005 (May 11, 2016, Cronan, J. ): Summary judgment granted in favor of town on p’s negligence claims related to injuries sustained in Christmas in Village Event/Parade based upon governmental immunity and lack of a duty. White v. Bethany Public School District, et al. White v. Bethany Public School District, et al., Superior Court, judicial district of New Haven, Docket No. NNHCV146044902, 2016 WL 785741 (Feb. 4, 2016, Alander, J. ): Summary judgment granted in favor of town and its board of education for alleged failure to protect plaintiff minor children from another parent of a student at the school, who allegedly harassed and frightened the children as investigation and response to plaintiffs’ claims was discretionary and claimed harm was not imminent/no immediate danger where claimed danger is that the parent sometimes followed and/or gave the children “mean looks”. Burgess v. Town of Wallingford, 569 Fed. Appx. 21 (2d Cir. 2014): Plaintiff was arrested for disorderly conduct after patrons of a pool hall became alarmed at the sight of his exposed handgun and extra clips of ammunition. Plaintiff had a valid permit for his handgun, however, Wallingford Police officers determined he had caused annoyance and alarm sufficient to support arrest for Disorderly Conduct. Plaintiff sued for civil rights violation based on a false arrest and violation of his 2d Amendment right to bear arms. The District Court granted summary judgment based on Qualified Immunity, given that there was at least arguable probable cause for a disorderly conduct arrest and there was no clearly established right under the 2d Amendment to openly carry a handgun outside the home. On appeal, the 2d Circuit Court of Appeals affirmed the entry of summary judgment for the officers, noting that Connecticut Appellate has warned all permit holders that even though they carry a lawful permit to possess the handgun, they still can be arrested for breach of peace or disorderly conduct if they cause annoyance or alarm in public. Borelli v. Renaldi 2017, WL 5164609 (2017): Plaintiff was a passenger in a motor vehicle that was pursued by Seymour Police Department.. The driver of the pursuit vehicle lost control, left the road, and plaintiff was fatally injured. Plaintiff sued the police for negligence in the conduct of the pursuit, including failing to terminate pursuit when the vehicle in which plaintiff was a passenger exhibited erratic operation. Defendants raised the defense of governmental immunity based on claim that the acts associated with initiation, conduct, and termination of pursuit involve judgment and discretion. Curt recognized a split of authority, but concluded that police pursuit is an inherently discretionary activity, requiring moment by moment decisions and judgments. Plaintiff claimed that immunity was barred by the identifiable victim exception, and Court disagreed. This is a breakthrough decision regarding municipal immunity applying to police pursuits. The case has been appealed by plaintiff. Gothberg v. Town of Plainville, 148 F.Supp.3d 168 (D. Conn. 2015). Serrano v. Buckner, No. 3:12-CV-4 (AWT), 2014 WL 4792802 (D. Conn. Sept. 24, 2014). Utecht v. Maniago, No. 3:13-CV-00804 (MPS), 2014 WL 7404562 (D. Conn. Sept. 23, 2014). Emerick v. Glastonbury, 177 Conn. App. 701, 173 A.3d 28 (2017), cert. denied, 327 Conn. 994 (2018). Babij v. Town of Winchester: Howd & Ludorf, LLC partner Kristan Maccini obtained a defense verdict for the Town of Winchester following a five-day bench trial. In Babij v. Winchester, the plaintiff claimed that the Town’s snowplowing of a road and piling of the snow in a pile to the northeast and uphill of her property caused a water runoff condition which created ruts and damage to a right-of-way she shared in common with her neighbors as well as to her property. A verdict was returned for the defendant Town on the plaintiff’s claims of nuisance and trespass on the basis that the plaintiff failed to sustain her burden of proof as to either claim. The defendant established through the testimony of its Director of Public Works that the manner in which the Town plowed the road did not result in an unreasonable interference with the plaintiff’s use of her property and that there was no other feasible way of plowing the road and piling the snow. Villages v. Longhi (AC 40263): Howd & Ludorf, LLC partner Kristan Maccini vigorously defended Town PZC member as to plaintiff’s intentional tort claims of fraudulent misrepresentation and tortious interference. The appellate court affirmed on appeal the trial court’s conclusion that (1) the defendant was not collaterally estopped from disputing liability and (2) the defendant was entitled to summary judgment as to the plaintiff’s claims.